mando manderin from birds animations on Vimeo. As part of our collaborative work together, fellow artists Annie Gibson, Katell Sevellec and myself have produced a video biography by ‘birds animations‘ giving you an insight into my studio and what I get up to on a typical day there…enjoy! Just before Christmas was a busy time – a veritable feast of craft fairs, and this year I was involved in three different ones across the country. It was beginning to feel a bit like Challenge Anneka..if only I’d had the helicopter, my life would have been so much easier. 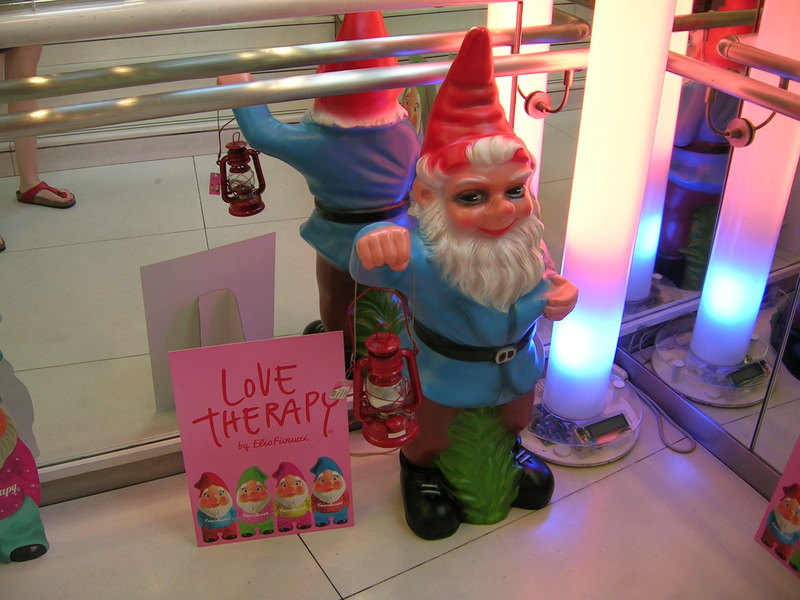 Okay, so it’s a bit rubbish to be writing this retrospectively, but better late than never! First up was ‘Lustre’ (4th-6th November) www.lakesidearts.org.uk at The Lakeside arts Centre in Nottingham. Fantastic show as always thanks to the organisers and had the pleasure of meeting ceramic artist Justine Allison and jeweller Clare Hillerby who is relocating to Manchester really soon so keep an eye out for her gorgeous jewellery. 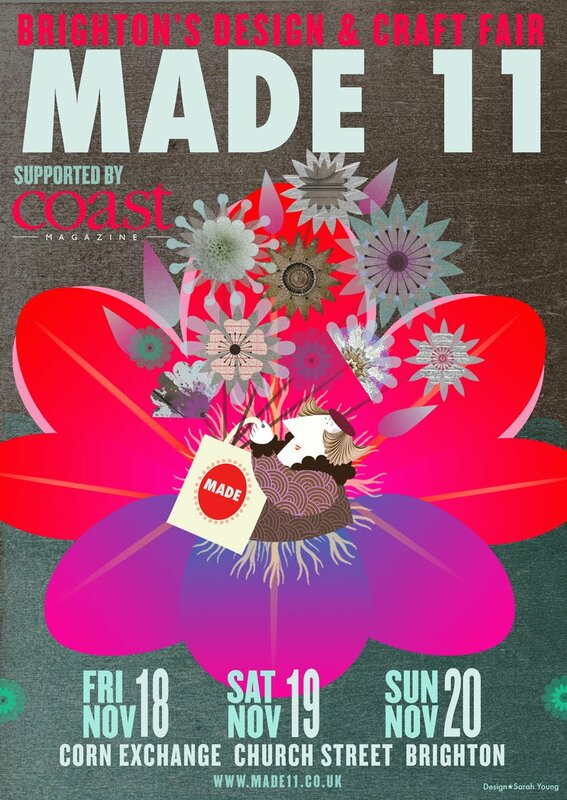 Next up was a trip down South, all the way to Brighton for Made11. It was my first ever trip to the city (no way!) Loved it, got time to see some of the sights (see picture postcard below) and hang out with some friends. Met some ace fellow makers including the lovely textile designer, knit and crochet specialist Rose Sharp Jones and bumped into an old friend – vintage inspired Milliner and accessory designer Jen AKA Lilly Lewis who is stocking Topshop in London among others, yep, she’s made it! 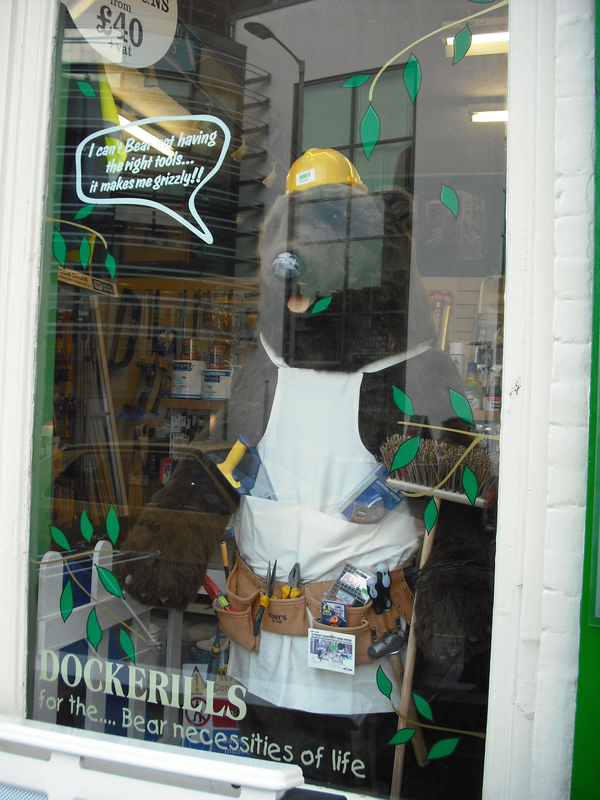 As well as trying desperately hard not to spend all the money I don’t own (I believe that’s the definition of an overdraft) I couldn’t take my eyes off many of the window display especially Dockerills hard wear shop on Church street – see picture below. I have also been given the opportunity to stock my work in the exquisite boutique ‘Hope and Harlequin’ on Sydney Street. They are stocking a selection of my cushions as well as my new printed and embroidered Handkerchiefs. The shop is a combination of beautiful vintage clothing (including wedding dresses and accessories) and modern collectables for the home – if you’re nearby you have to check it out. 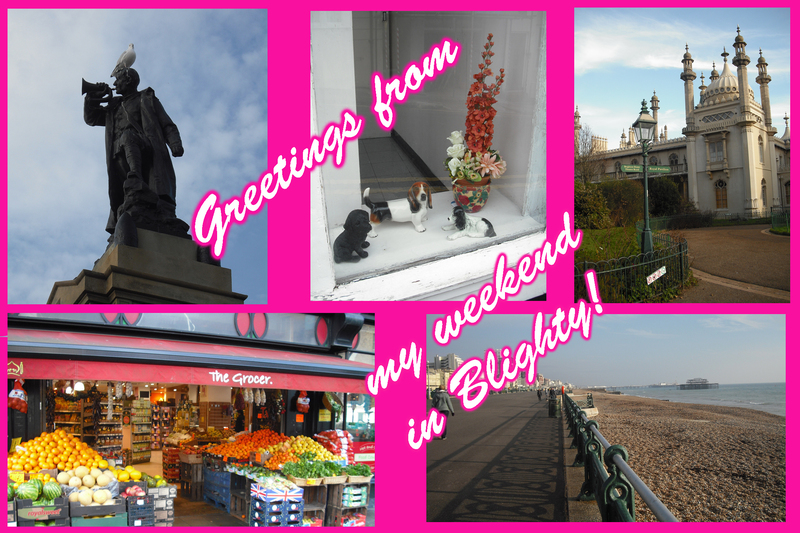 And there you go, Brighton in a nutshell…well on a postcard. 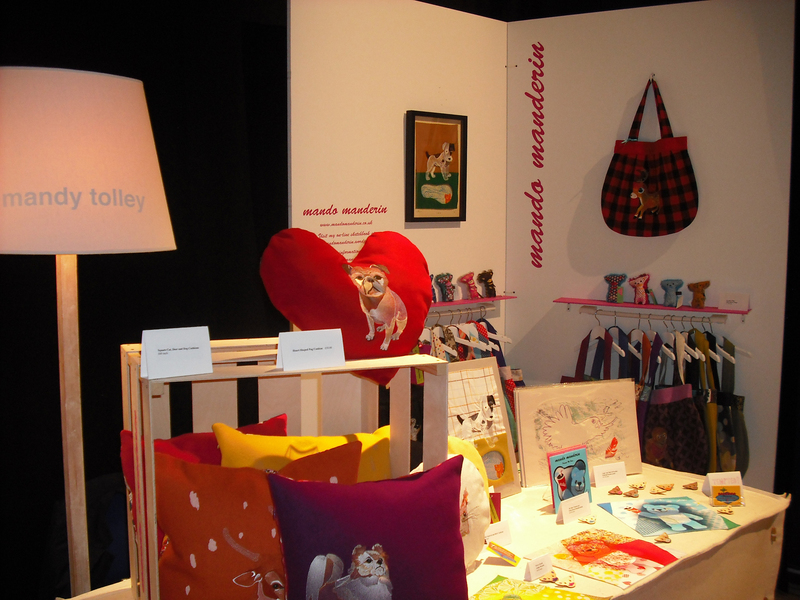 The third and final craft fair of 2011 was in Newport, Cardiff – the home of ‘Made by Hand’ in the most beautiful setting of Tredegar House. Google it. Or even better, go there – it’s gorgeous. This was 2nd – 4th December and I got my Christmas presents for myself thanks to fellow makers Sarah Culleton and Zoe Acketts among others. It was massively inspiring to be a part of this show and to be surrounded by such a high a standard of contemporary craft makers. 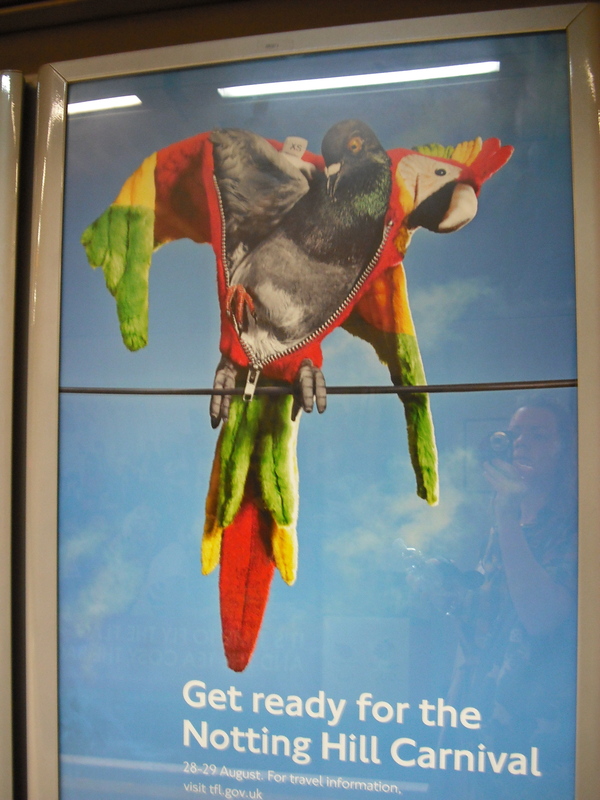 Saw this fantastic advert for the Notting Hill Carnival. I love it when a good advert is made…like most of the Specsaver ones, good job ad men. Just going to take it out and look at it every now and then. 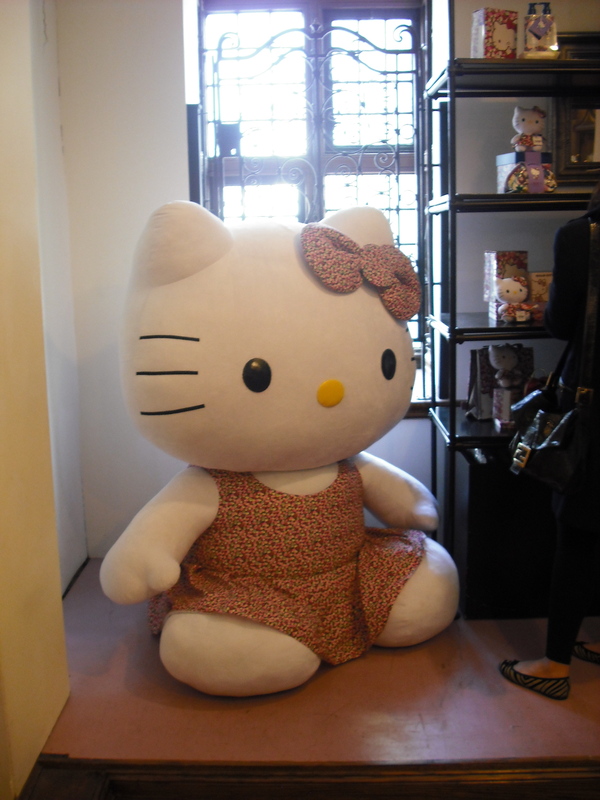 The other thing that equally impressed me was the biggest Hello Kitty I’d ever seen in my life. That is indeed a fully-grown person stood to the right of it, how did it even fit in the lift?? Other things of interest in the capital that I went to see were ‘The Power of Making’ exhibition at The V&A and of course a visit to the taxidermy next door at The Natural History Museum. 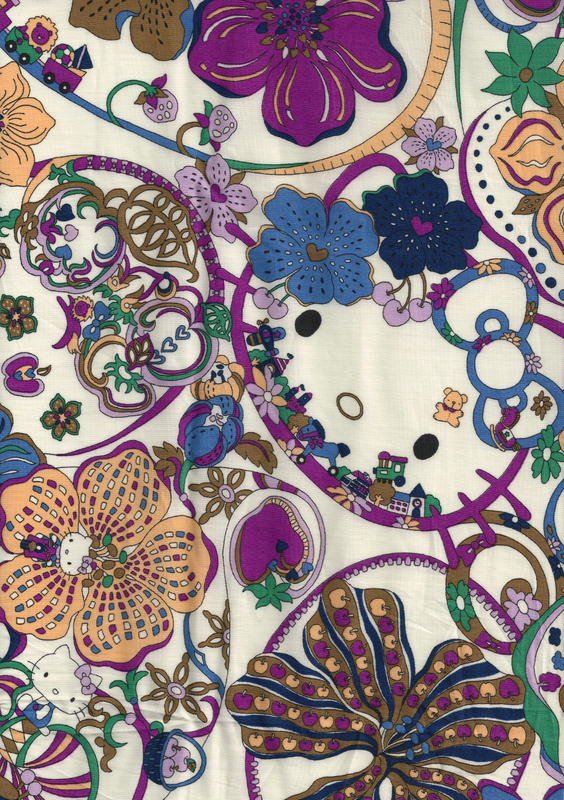 At the V&A exhibition, they had a great selection of manufactured and carefully crafted hand made goods – including an impressive array of 3D printers with video footage of models being made using them. A personal favourite was Shauna Richardsons ‘Crochetdermy bear’. 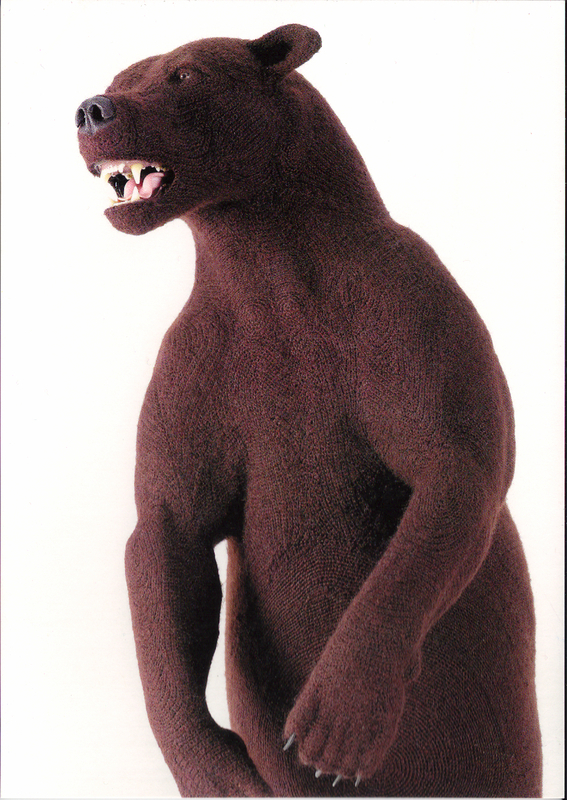 A life size model of a brown bear entirely crocheted, totally fantastic! 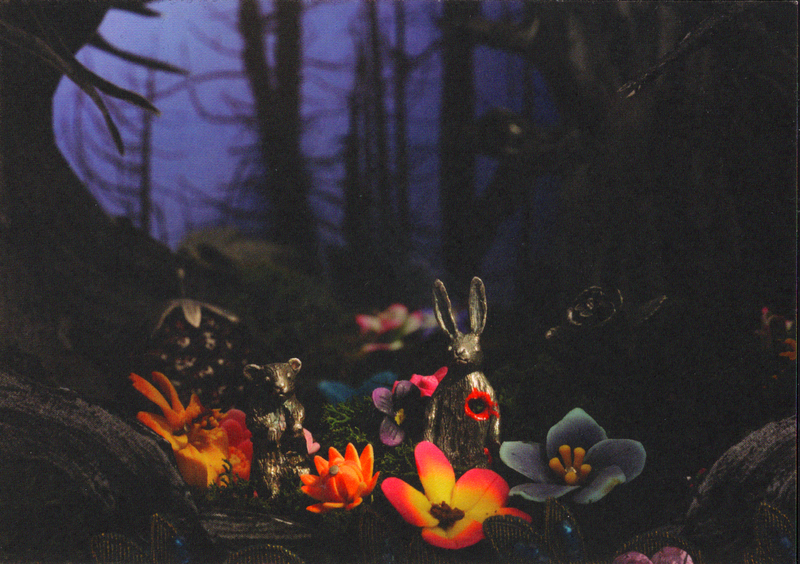 Just a hop skip away were some equally fantastic once-real animals. 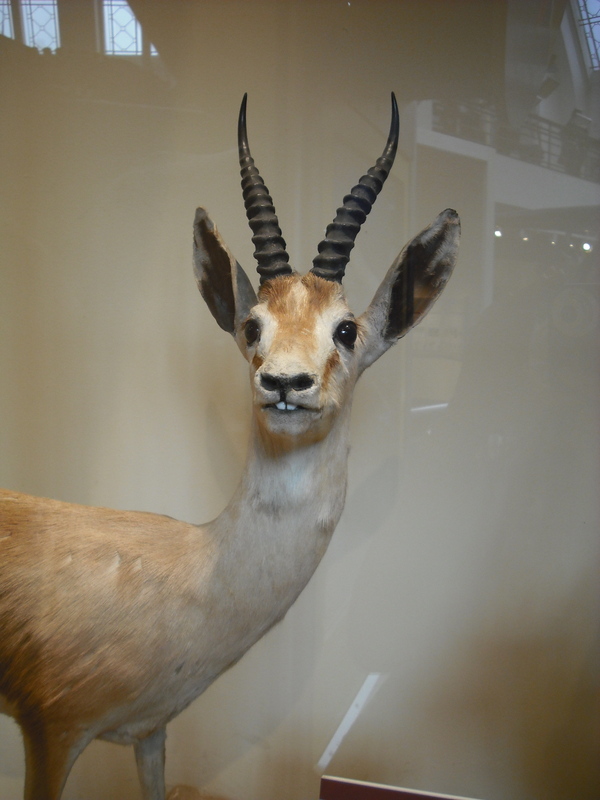 One of my favourites being the antelope creature to the right…I just can’t shake the feeling that he may have gone to the same dentist as me. So, I feel like there is much to catch up on – several exhibitions and new pieces of work have happened recently so I guess this is a good place to start. Not so long ago a collaboration happened between myself and fellow artist/curator/facilitator Bren O’Callaghan for the ‘Re-Covering’ exhibition at Untitled Gallery . The exhibition showed works by 40 local and international artists who redesigned the cover of an influential book onto a paper-back book sized piece of reclaimed oak from school libraries. 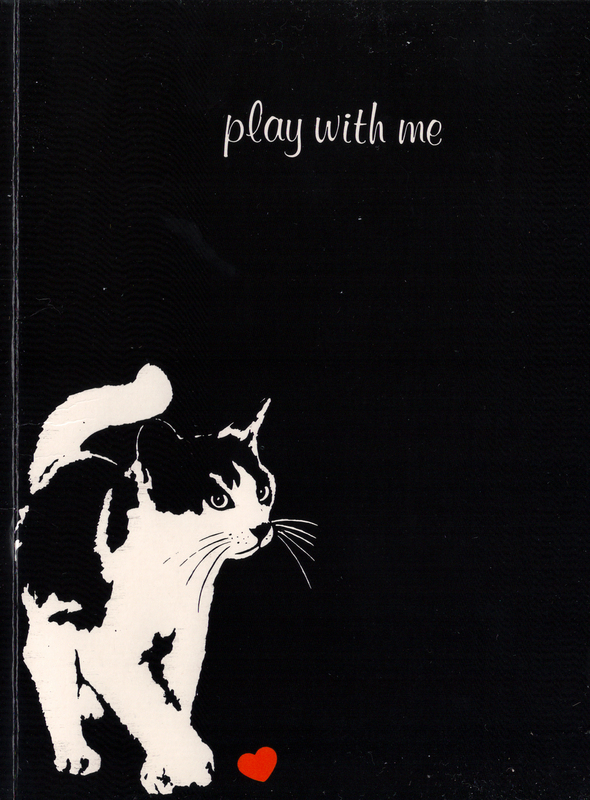 ….I promise to give you your book back Bren.